As a repairman I get a lot of questions about dryers. Here is a list of the most frequently asked questions about dryers. Why didn’t my new dryer come with a cord? Years ago the national electric code said that all mobile homes had to put in a four-wire system, then later they said that all houses had to have a four-wire system. This means that all houses made before they passed the law have a three-wire plug for the dryer and after they passed the law all houses and mobile homes have a four-wire plug for the dryer. So you must buy the cord separate so that you will have the right cord for your home. Some appliance dealers will give you the cord that you need and some will charge you extra for it. I just moved and my old dryer has a three-wire cord but my new house has a four-wire plug, where can I get an adapter? Dryer cords can be found at AppliancePartsPros.com. How often should I clean the lint trap of my dryer? Each time you use your dryer the lint trap must be cleaned. You must clean your vent out once a year. This is very important! 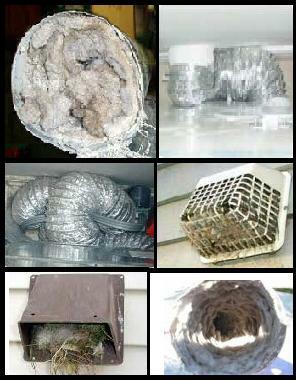 a clogged vent will be a fire hazard and can reduce the life of your dryer. Why is the top of my dryer getting hot when I dry clothes? If the top of your dryer is getting hot, the vent is most likely stopped up so check the vent. How long can my dryer vent be? Most manufactures say 60 feet but every time you make a 90-degree turn you must subtract 10 feet so I would say for most applications not more than 30 feet. I opened the door of my dryer, pressed the door switch and started it up. I could see the heater glowing but it only stayed on a few seconds, is this normal? Believe it or not this is one of the most frequent asked questions about dryers. First you should never do such a thing because this tells you nothing. You probably did this because the dryer is not drying clothes properly. So check the vent. If the vent is clear refer to back my dryer repair guide for instructions on how to repair this. My dryer is not that so old why is it broken down already? I get this question about dryers more than any other and my answer is always the same. Every appliance breaks down some on the same day you buy it and others in 20 years. Also appliances have always broken down. Yes I will agree that appliances are not made as good as they used to be. The average life of most appliances now days is about 8 to 12 years, whereas it used to be about 10-20 years. But you have to think that the cost of appliances now is about the same as it was 20 years ago, yet labor and materials are higher. So the only way they can still sell appliances at low prices is to cut quality. Also appliances do more than they used to therefore, more to go wrong.